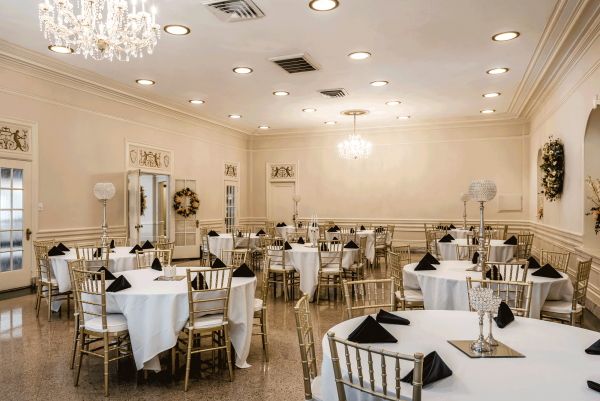 The Hotel Bothwell offers three large spaces available for your use: the Board Room, the Truman Room, and the Ballroom. Their staff is available for set up of the space, as well as tear down and cleanup. They can provide tables, chairs, and linens. They also provide items for rent to use while utilizing their facilities such as chairs covers, punch bowl, wrought iron garden arch, and mirrors for the center of tables.